Walter J. Horton, a Baltimore native, earned an Associate of Arts degree in Urban Development from the Baltimore City Community College. From 1972 until 1974 he attended the University of Maryland, Baltimore County majoring in Sociology and Urban Affairs. 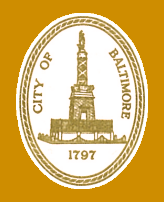 He was appointed Baltimore City Real Estate Officer in 2008 and has more than 40 years of real estate experience in City government.